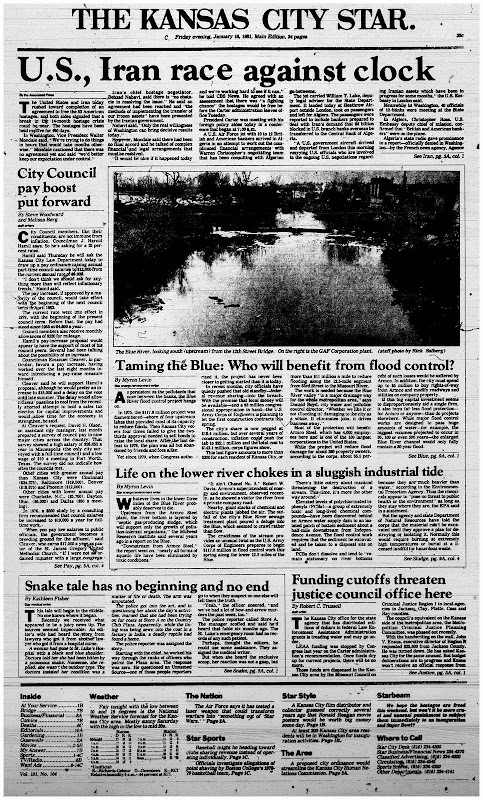 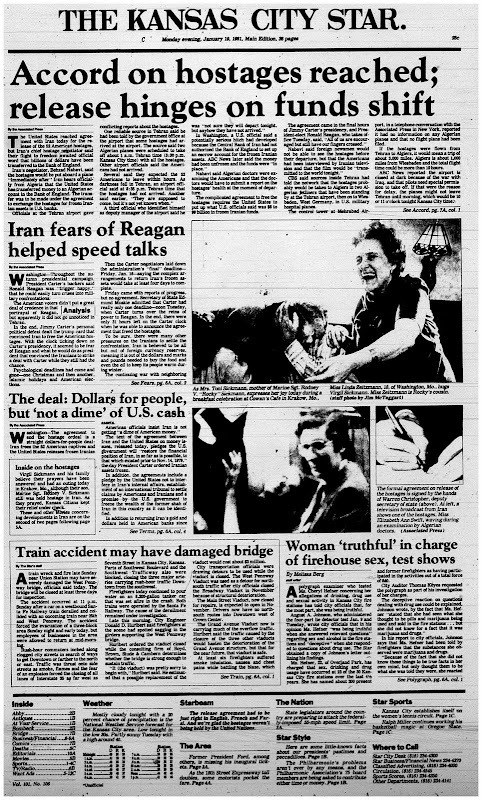 « Old Newspapers: Remember the 80’s? 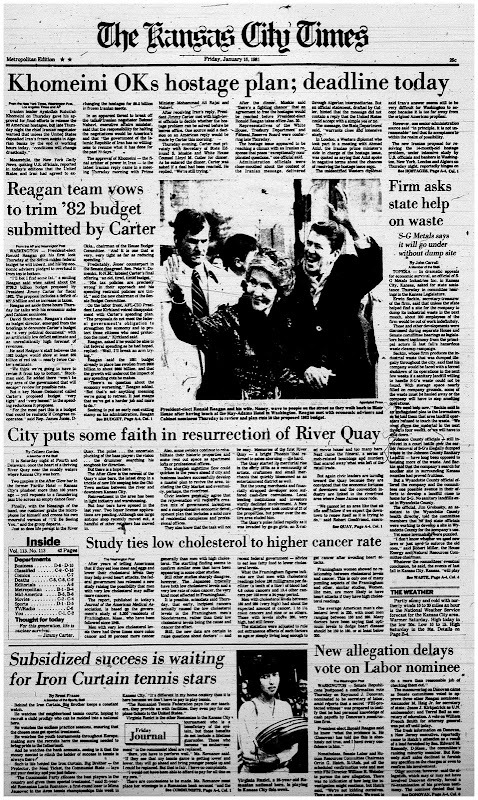 This post is brought to you by the Johnson County Central Resource Library’s new awesome microfilm reader. 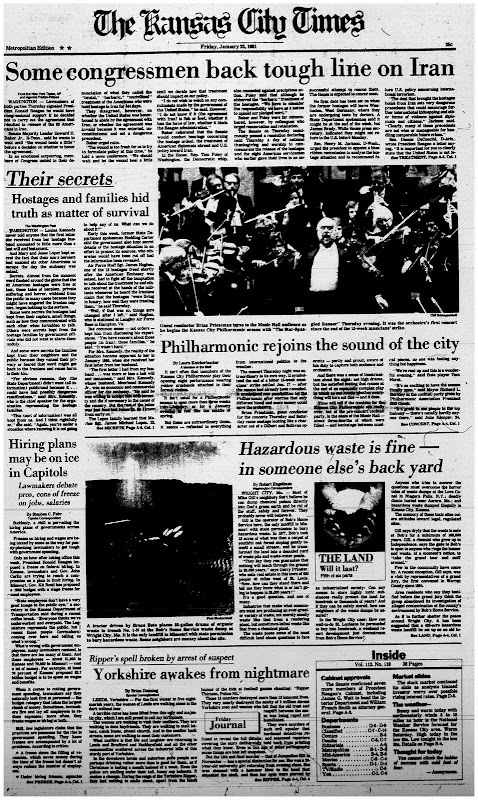 Also brought to you by the library’s outstanding raise-deserving personnel. 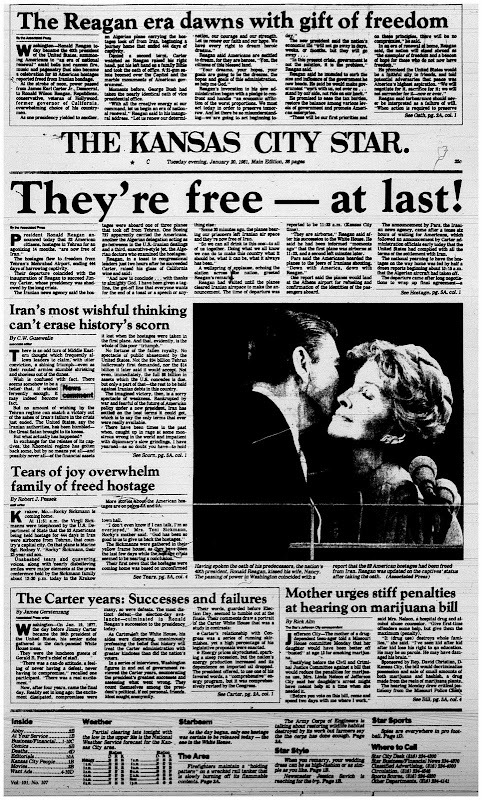 On January 20, 1981, at the moment Reagan completed his 20-minute inaugural address after being sworn in as President, 52 American hostages were released by Iran into U.S. custody, having spent 444 days in captivity. 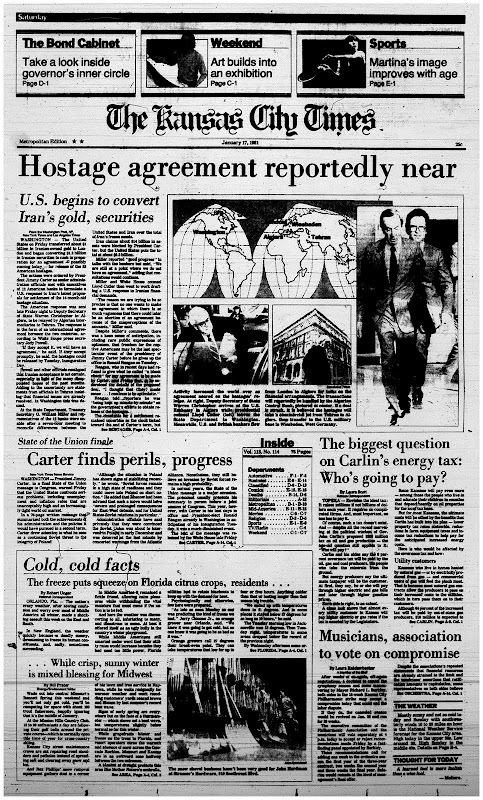 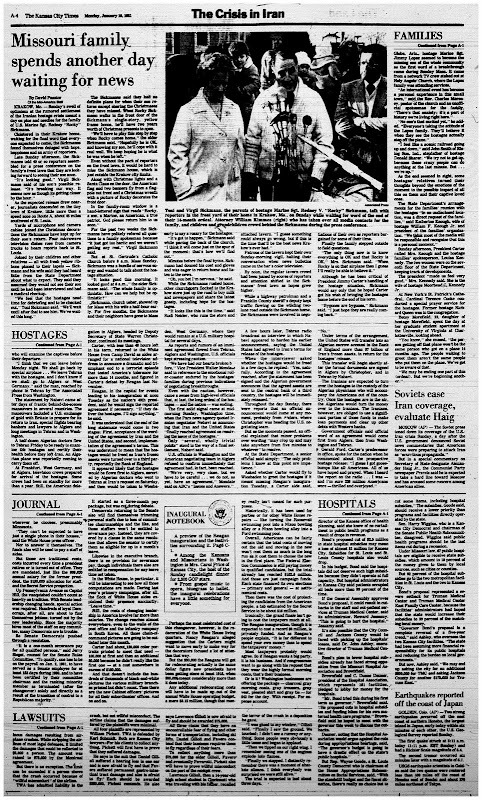 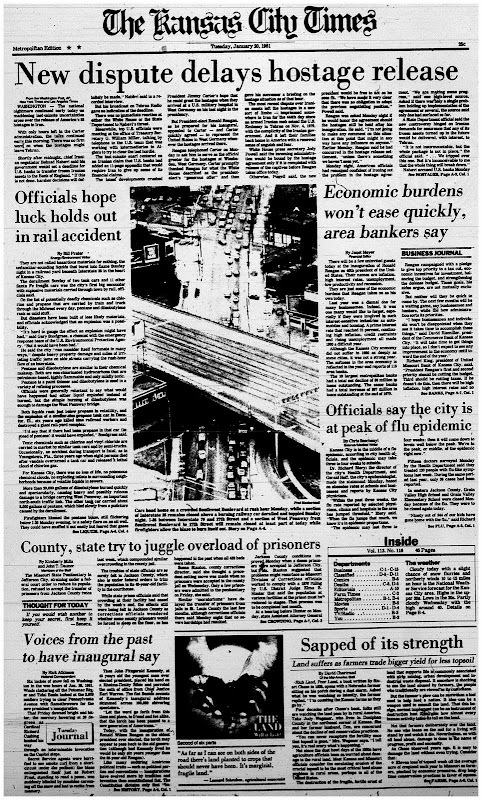 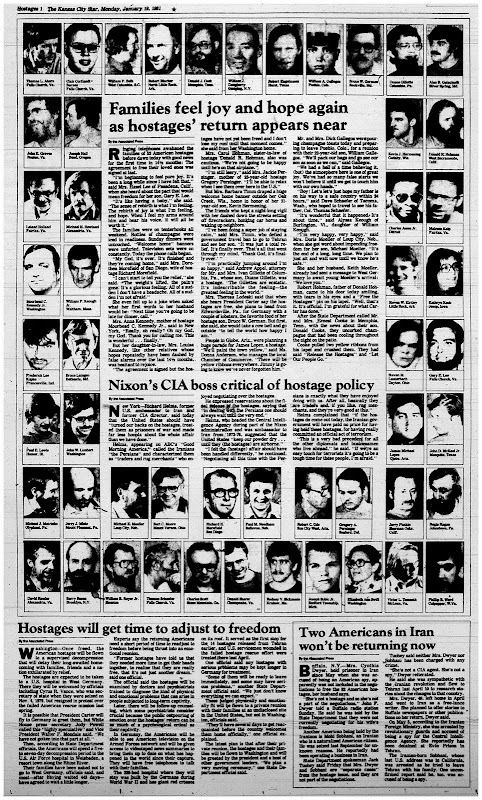 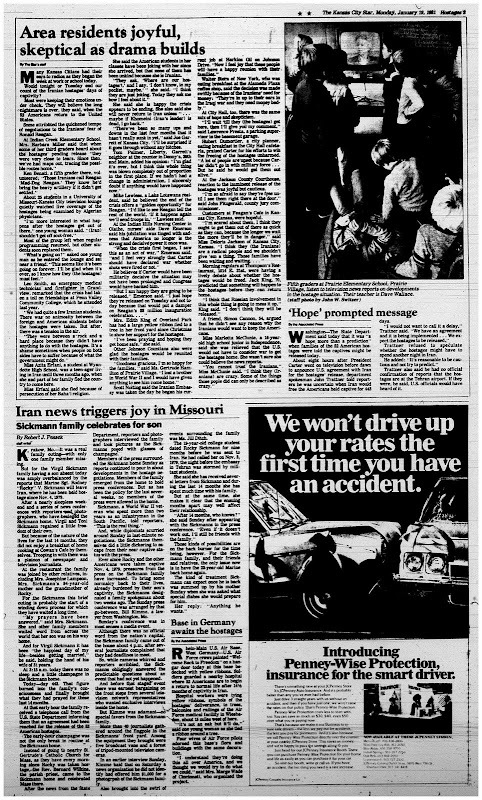 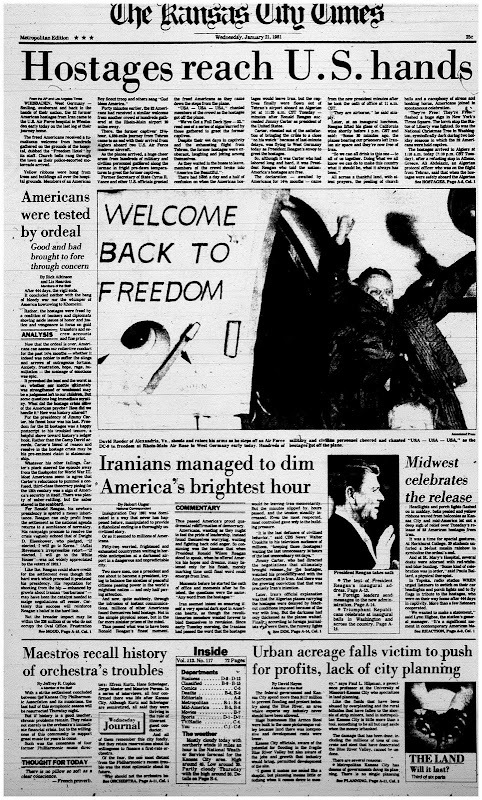 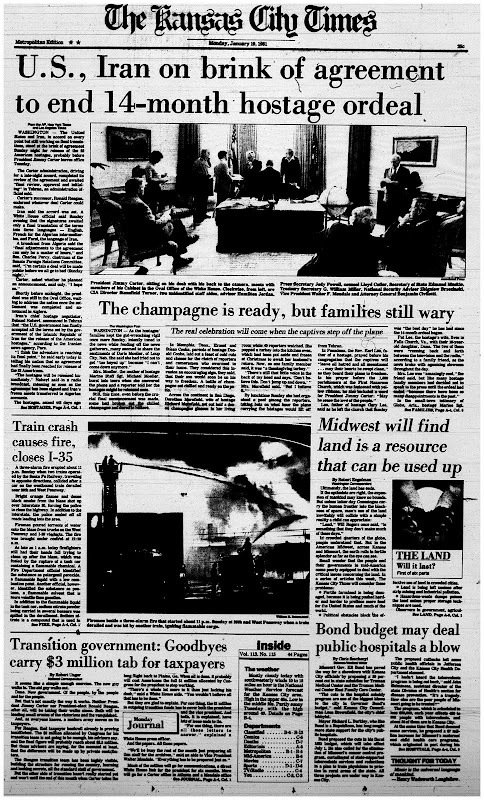 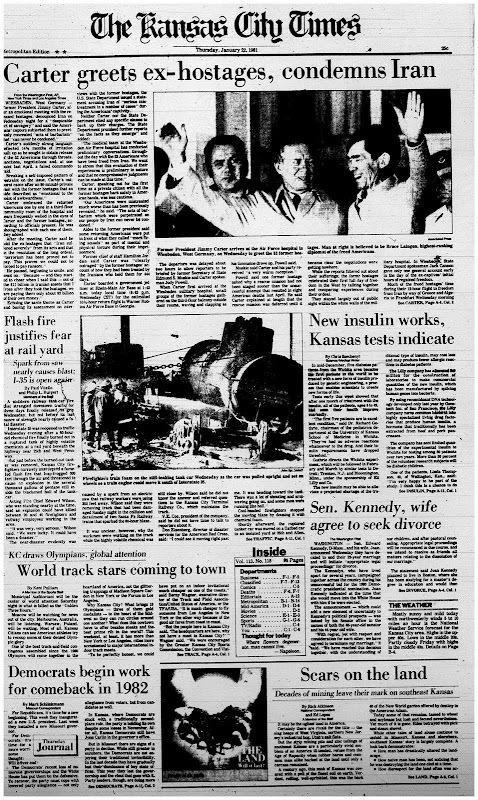 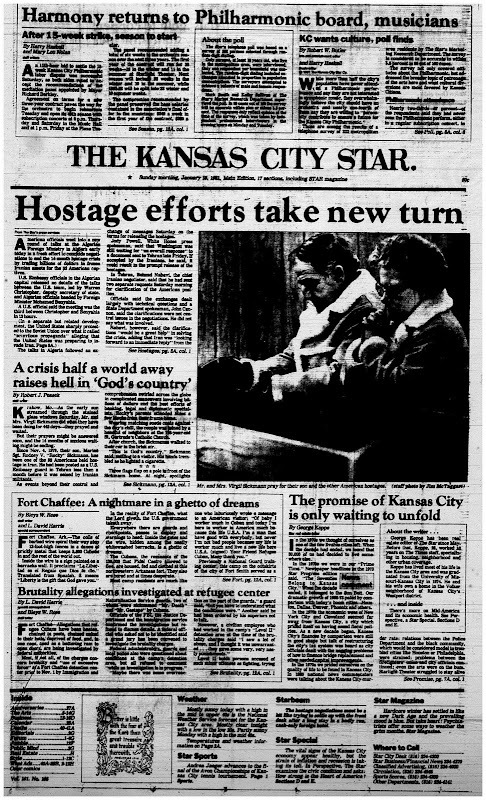 The Iran Hostage Crisis was well-covered in the media, with reports and dispatches published and broadcast on a daily basis during the 444 day ordeal, but in the last few days before the Algiers Accords were brokered, the hostage news were back on the front pages of every newspaper. 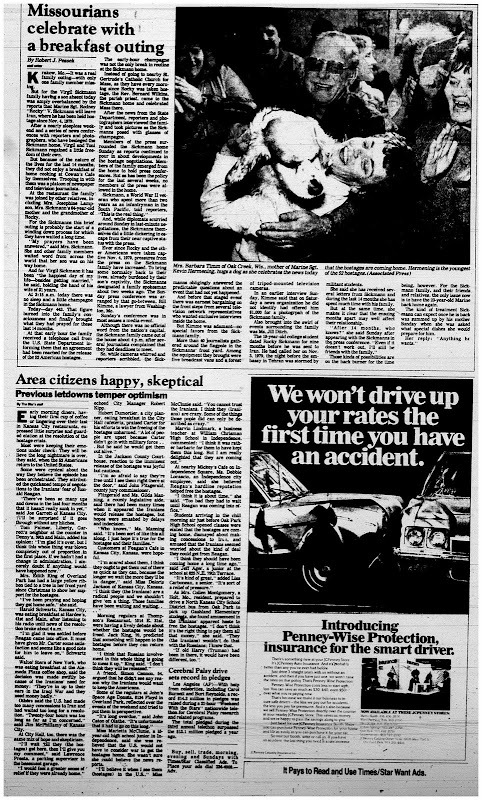 *all the images should be readable, if you care to do so just click to enlarge.